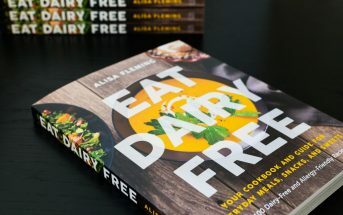 In the 2nd edition of Go Dairy Free: The Guide and Cookbook, I provide handy tips for baking dairy-free and vegan cakes from cake mixes. I also promised to provide you with a list of dairy-free cake mixes. And here it is! This extensive round-up includes every brand and flavor option we could find. I’ve broken them into two categories: Wheat-Based (first) and Gluten-Free (second). The brands are listed alphabetically within these categories. This guide to dairy-free cake mixes does include images and links to the products for your ease. Several of these links do include Amazon affiliate links. I was not paid by anyone to put this post together, so your support is appreciated. Commissions made via Amazon orders and book sales help us to keep this Go Dairy Free website alive! Their cake mix selection is petite, Chocolate and Vanilla, but they have a focus on quality. The mixes are certified organic, non-GMO verified, and kosher parve. Several of their cake mixes are made without dairy ingredients. But they are certified Kosher Dairy (for shared equipment), and might be at higher risk for cross-contamination with milk than some other brands. Nonetheless, the following flavors were made without dairy during our review. Super Moist Delights: Butter Pecan, Carrot, Cherry Chip, Dark Chocolate, German Chocolate, Lemon, Rainbow Chip, Red Velvet, Spice, Strawberry, and Triple Chocolate Fudge. 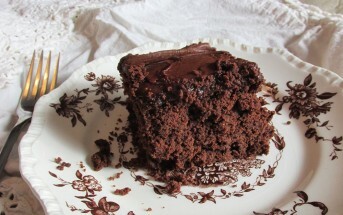 Super Moist Favorites: Butter Recipe Chocolate, Chocolate Fudge, and Devil’s Food. Specialty: Angel Food (contains eggs), Confetti Angel Food (contains eggs), Gingerbread, Pineapple Upside Down, and Pound Cake. This allergy-friendly mixery is known for being food allergy friendly. Their entire product line is free of milk, eggs, peanuts, treenuts, and soy. And their wheat-based cake mixes include Chocolate and Yellow. This massive cake mix maker has dozens of dairy-free options. And most of them are certified kosher pareve. 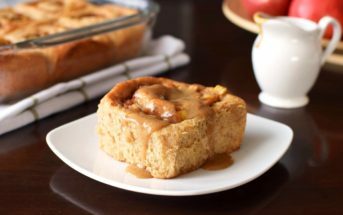 See my round-up of Dairy-Free Duncan Hines Cake Mix Flavors. These certified organic, dairy-free cake mixes are a personal favorite. They come in Chocolate, Vanilla, and the more unique Lemon. This company has a hip, conscious vibe, but they only offer one straight up organic cake mix: Simply Sweet Vanilla. Be warned that at least one of their mug cake mixes contains dairy, and it was buried in the ingredients (and not included in the “contains” statement) on the package we looked at. They have quite a few cake mixes, but only a handful of their wheat-based flavors are made without dairy. They include Chocolate Lava, Lemon Coffee House, Coconut, Deliciously Simple Chocolate, and Golden Vanilla. We applaud them for being certified organic and using wholesome ingredients, but the options are limited. Yellow is their only cake mix flavor. This company focuses on beer mixes! They have Molten Fudge Beer cake mix and Cinnamon Spice Beer coffee cake mix, and both are labeled as vegan. This certified organic, vegan brand makes Vanilla and Chocolate dairy-free cake mixes with minimal ingredients. Like the Betty Crocker cake mixes, Pillsbury cake mixes tend to be certified kosher dairy, most likely for shared equipment with their dairy-containing flavors. At last check, all of their Funfetti, Seasonal, and Gluten-Free varieties contained dairy. But the following wheat-based flavors weren’t made with dairy ingredients. Moist Supreme: Chocolate, Dark Chocolate, Devil’s Food, German Chocolate, Golden Butter, Lemon, Pineapple, and Strawberry. Purely Simple: Chocolate and White. Girl Scouts: Caramel & Coconut and Thin Mints. This is a nut-free company that makes assorted snacks (most contain dairy) and boasts “clean labels.” They also have a one-hit vegan wonder in the baking mix category: Vanilla cake mix. This is a “healthier” company, with a focus on whole-grain, gluten-free baking mixes. They have a whole array of convenient products, but Chocolate was the only cake mix at the time of writing. Gluten-free customers get a bonus cake mix from this milk-free, egg-free, nut-free, soy-free company. The flavors include classic Chocolate and Yellow, plus Carrot. 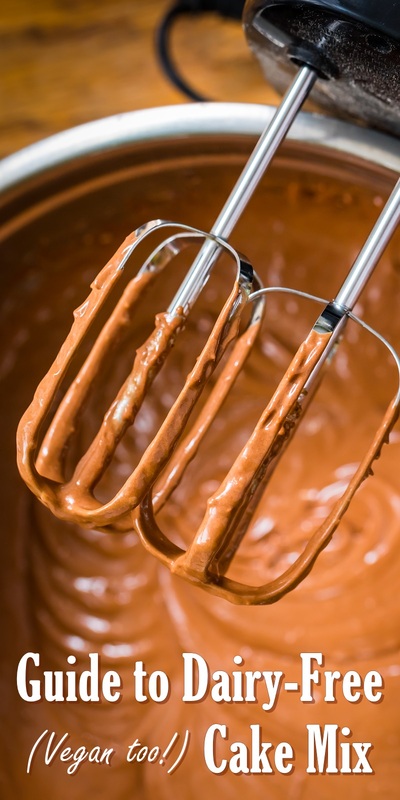 Choose between classic Chocolate and Yellow cake mix from this allergy-friendly manufacturer. Their gluten-free line seems almost as popular as their gluten-full one! You can choose between their Yellow and Devil’s Food cake mix flavors. At last check, they had two classics: Vanilla Yellow and Chocolate. Both are made in their gluten-free facility, which is reportedly dairy-free, too. For a small company, they have a rather big baking mix selection. Their gluten-free, dairy-free cakes mixes include Chocolate, Vanilla, Red Velvet, Spice, Confetti, and Carrot. I’m assuming their Yellow and Chocolate snack cake mixes are a little denser than your standard fluffy cake. But they are grain-free, sugar-free, and low carb with surprisingly dairy-free instructions. The recipe does call for eggs, which might be hard to successfully substitute. They don’t make many mixes, but the ones they do make have a classic feel with gluten-free, allergy-friendly ingredients. As for cake, they offer pure White. This is a kosher, gluten-free bakery that whips up all kinds of treats. But they also have a few baking mixes for bake-at-home. They include popular Chocolate Fudge and Vanilla nut-free, gluten-free, dairy-free cake mixes. This iconic baking company has a gluten-free product line, too. The cake mixes include Chocolate, Yellow, and Gingerbread. The Chocolate Indulgence is a flourless chocolate cake that is made without wheat and dairy, but it isn’t included in their official gluten-free product line. This is one of the original gluten-free food brands, and their expansive product line includes Chocolate, White, and Angel Food cake mixes. Lydia uses certified gluten-free oat flour to make her Chocolate, Lemon, and Carrot gluten-free, dairy-free cake mixes. You can choose from Vanilla, Chocolate, Yellow, and Spice dairy-free cake mixes from this friendly company. Their facility is gluten-free and top allergen-free. Strict dairy-free consumers should use extra caution with this brand. They make quite a few products containing dairy, and some are made on shared lines. But they offer Vanilla, Chocolate, and Spice non-dairy cake mixes. This nutritious manufacturer makes grain-free, refined sugar-free mixes. Their dairy-free cakes mixes include Chocolate and Vanilla. They run a gluten-free facility, and their whole product line is free of top allergens. The cake mixes include Yellow, Golden, Chocolate, and Coffee Crumb. Celebrate with Vanilla Spice, Chocolate, or Birthday cake mixes from this fledgling brand. This guide to dairy-free cake mixes is for informational purposes only. We obtained the information from product packaging and manufacturer websites. It is based on the product ingredients and “contains” statements. It is not based on “may contain” type statements, since those are voluntary and unreliable. These are not personal recommendations, and you must still do your own due diligence to ensure the products are safe for your needs before purchasing. If you are dealing with a severe food allergy, always contact the company to discuss ingredients and manufacturing processes before consumption. Ingredients and processes are subject to change at any time. It’s impossible for us to keep up with every product change on the market. So please help us keep this page current and relevant for readers like you! If you have another brand of dairy-free cakes mixes to recommend, you know that an item above has been discontinued, or if anything else has changed, kindly leave a comment. We will do our best to update this post in a timely manner. Love the organization of this post! The gluten free section is super helpful for me. Thank you so much for putting this list together! Look at all the options! What about you Jules, does your line have a cake mix? Great list!!!! What about Lillabee Cake Mixes? Thanks Marjorie, that looks like a great option for people in the Denver, CO area! I hope they add online shopping soon as it looks like a great allergy-friendly brand! We appreciate the heads up. Great selections on the Gluten Free side of things! I couldn’t even comment on the gluten-side, been too long! Thanks for sharing! It’s funny, there are more gluten-free brands than gluten-full ones anyway! Haha, I was thinking of you Kelly! Well, the paleo snacking cake one above is gluten-free and refined sugar-free – does that count?